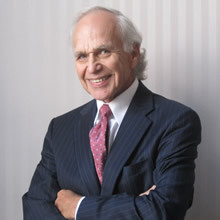 Phillip J. Johnson | Spiegel & Cahill, P.C. Mr. Johnson is currently a member of the Chicago Bar Association and the Illinois Workers’ Compensation Lawyers Association. In the past, he has served as the president of the Illinois Workers’ Compensation Lawyers Associations, and also as a member of the Board of Directors. Mr. Johnson has conducted numerous lectures for the Illinois Institute for Continuing Legal Education on the topic of workers’ compensation.